It’s safe to say that most of us are using some form of messaging app, and with those apps, comes the use of endless stickers and emojis. We share Minion stickers and fire emojis with our friends and family countless times a day and one company is using this technology to create a custom user experience that can also be monetized. Inmoji is that company. 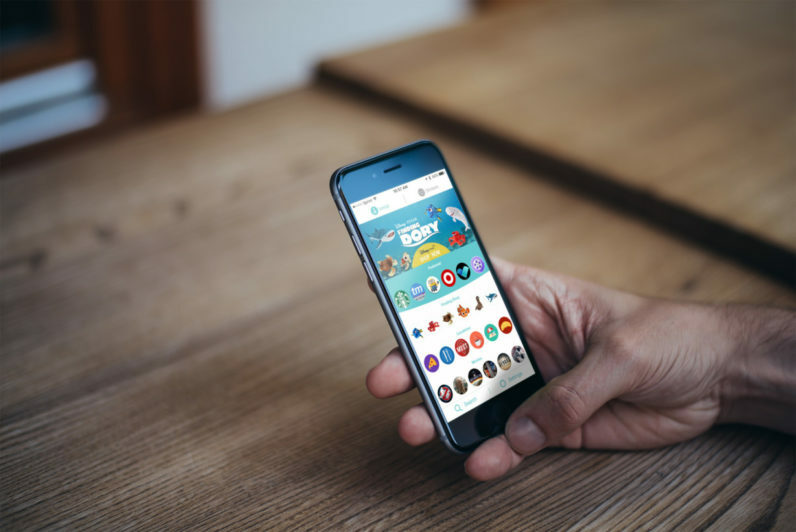 Boasting a 100% clickthrough rate, Inmoji “stickers” are sent through a plethora of messaging apps, with many services already having the service available to users. Messaging apps like Oovoo, Tango, and Badoo have the tech at the ready, with the network also extending to Facebook Messenger, Viber, and more. If you have an iPhone, you can even add the service to your iMessaging extensions. To put it plainly, imagine you’re meeting a friend for coffee, simply send a Starbucks sticker to them, and it can load up all Starbucks in the area so you can quickly decide on a meeting place. You can also share music with friends and if they fall in love with the song Inmoji will direct them to where they can purchase it. It’s a great concept and Inmoji says that people send one of their stickers every 1.5 seconds. Not bad at all. In an effort to better scale their service to a worldwide audience, the company launched a new service today, EQ, a self-service portal, or SSP, that can be used by almost anyone. Agencies and brands both large and small can take advantage of this new service. “We built this platform to help scale our business worldwide. We’re giving anyone with any size budget the ability to create and deliver unique, clickable Inmoji icons and experiences to our 100 million daily users on the world’s biggest messaging apps. We have also looked at the fragmentation of the sticker market with regards to reach and formatting, and as the leader in this space saw the opportunity to drive the standard by giving our current and future clients (some of the biggest brands in the world) a one stop shop for creating/customizing one sticker pack for ubiquitous distribution across all messaging apps,” states Africk. Messaging is now more popular than social media according to Business Insider, so finding ways to connect with your audience is of the utmost importance. Sponsored ads aren’t going to work for those of us who have gotten sick of the social sphere, so something like Inmoji that offers convenience and utility will be the way to connect advertisers and consumers. With their new offering in the form of a SSP, even more companies will be able to hop onboard to deliver great, relevant media that benefits everyone.